Type and Characteristics - Sailing ship, laid down in Norfolk as sidewheel steamer in October 1841, machinery removed as unsatisfactory, purchased by US Navy as storeship in 1845, commissioned 27 May 1845, 567 long tons, 156ft long x 27ft 10in beam x 13ft 6in draft, armed with 2-42pdr carronades, 45 crew, first commanded by Lieutenant Henry W Morris. Log Period and Areas of Service - 1852-53, Perry's Expedition to Japan. 4 November 1852 - Recommissioned. 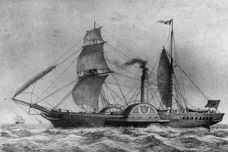 8 December 1852 - Sailed for the Pacific. September 1853 - Joined Commodore Perry's squadron as part of his expedition to Japan. 31 March 1855 - Returned to New York. 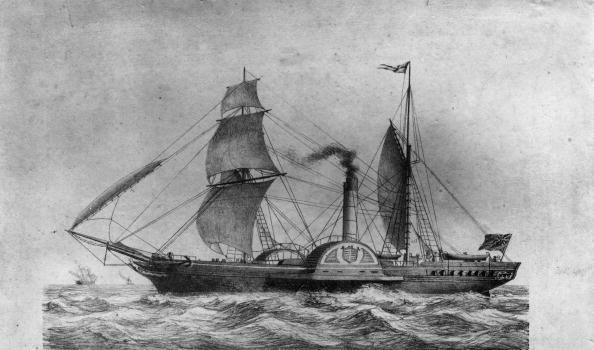 Fate: Decommissioned at New York, 6 April 1855, sold later that year. Entered merchant service.